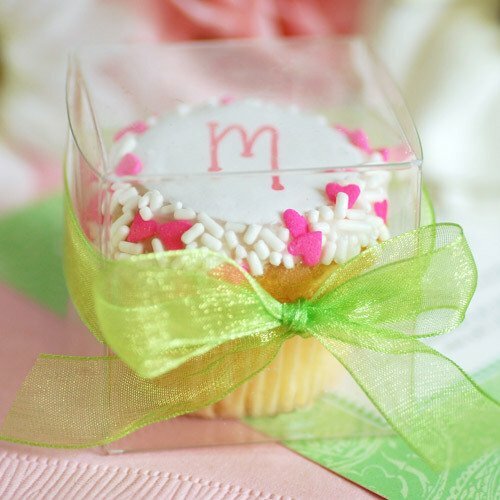 These mini cupcakes come in your choice of vanilla or chocolate cake and can be decorated with your choice of sprinkles, frosting color, and up to three lines of text for personalization. You can also have them packaged in a small gift box for easier handling. Your guests will love this mini sweet treat that they can take home and snack on after the wedding! You can find these adorable mini cupcakes here.